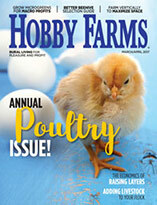 Have you been daydreaming about your would-be hens clucking peacefully across your backyard? 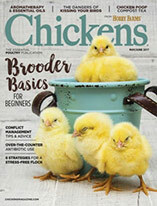 Whether it’s an aversion to the road less traveled, or city regulations you’ll have to challenge, here are five reasons you’ll love raising a small flock of hens. Can you call them farm-fresh if you don’t live on a farm? Sure! They’re Urban Farm-Fresh or Suburban Farm-Fresh. If you’re raising livestock, you’re farming, even if it’s on a very small scale. If you’ve already been buying eggs from a local farmer, you know these eggs are exceptional. The yolks are deep orange from eating greens, and they’re higher in omega-3 fatty acids, while lower in omega-6. When you gather fresh eggs from the nest box each morning, they’re still warm. And, while you’re not likely to see a hen laying an egg (a girl likes some privacy), you will hear her egg song every morning. Chickens are lovely companions, of course, but I’m talking about human friends. Flocks in common are exciting icebreakers, sparking endless questions to ask a stranger or acquaintance. People who’ve always wanted to keep chickens will talk to you, too. For someone who wants chickens, all it takes is getting to know someone who’s taken the leap into chicken keeping to boost their confidence. We chicken keepers might border on enabling, but we’re the antidotes to naysayers who disapprove of raising chickens. Your new flock of chickens is a maintenance crew that won’t mind working for its every meal—because when you’re a chicken, everything’s a meal and it’s always lunchtime somewhere. 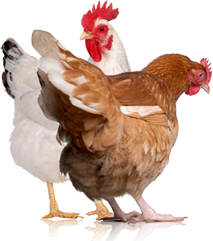 They will help you clean out the garden by turning soil and pecking away edible scraps. The most dedicated foragers will scratch through what you dig up from the ground, spreading soil and cleaning out grubs and other pests. If you bag grass when you mow, they’ll spread and turn it in the compost bin, or they will forage through and eat the trimmings if you leave them on the lawn. Raising chickens inspires respect for the animals, their intelligence and their actual value as food producers. With the time, feed and water required for their bodies to produce an egg, grow new feathers, bathe and preen, and clean up pests, esteem for their seasonal abundance and off-season time off becomes a natural understanding. These are invaluable lessons of the day-to-day needs of the animals that produce what we eat. Appreciating the origins of our food is a gift often lost on urban dwellers. Chicken keeping still isn’t mainstream, but it used to be, and it’s likely to be again. For now, you’ll be the weirdo in the neighborhood or the honorable crazy chicken lady, but that’s part of the fun. People seem to be increasingly reluctant about participating in the abuse of battery hens with their purchases, and they seem to be more aware of the energy it takes to transport our food from one place to another. The average distance our food travels is 1,200 miles from its origins to our grocery stores. Raising chickens, whether for eggs or meat, is activism. Quiet, cooing, clucking activism.